That how I have my mounts. Little heavier on EAST side just to the point where the axis starts moving. That takes care of RA motor meshes. The same on DEC, camera heavier the same way. And counterweight closest to the RA axis, even if it requires more weight. No need to exaggerate just slight adjustments taking care not to stress the motors and they don't stall with the weight. Gonzothegreat wrote: I will have to check the backlash on the RA, as I said I wasn't too happy with it. There is a slight sticky point. Sticky point ehh??? Now that's a problem! I had that two times. One of them was a mechanichal issue and difficult to surpass. You really need to investigate that one. wvreeven wrote: Sorry to hear about your HEQ5 mount. But yes please for the offer for the screenshots of the Vixen GPD2 config. Once more many thanks in advance! Ok will do that when possible. I think I still have the original screenshots stored somewhere. Well I would but it's not my current mount my HEQ5 board fried so it's on hold. Now I have a Vixen GPD2 with a Skywatcher Goto kit. That i can do. The settings are not much different from the HEQ5. I would not ditch away, it's a good mount, sometimes it's a "PITA" to get it working but... when you get it right, it just works. Steadily. I would check that next time, that could be exactly the source of all your problems. Gonzothegreat wrote: That's me done for tonight, thanks again NMAC for your help, much appreciated. I now that It was already mentioned here some time ago but it seems the HEQ5 is not supported as the options do not appear on INDI control panel. The same happens with the Vixen GPD2 I have now, it has a Skywatcher goto kit and I am using it with eqmod, but the options do not appear algo. 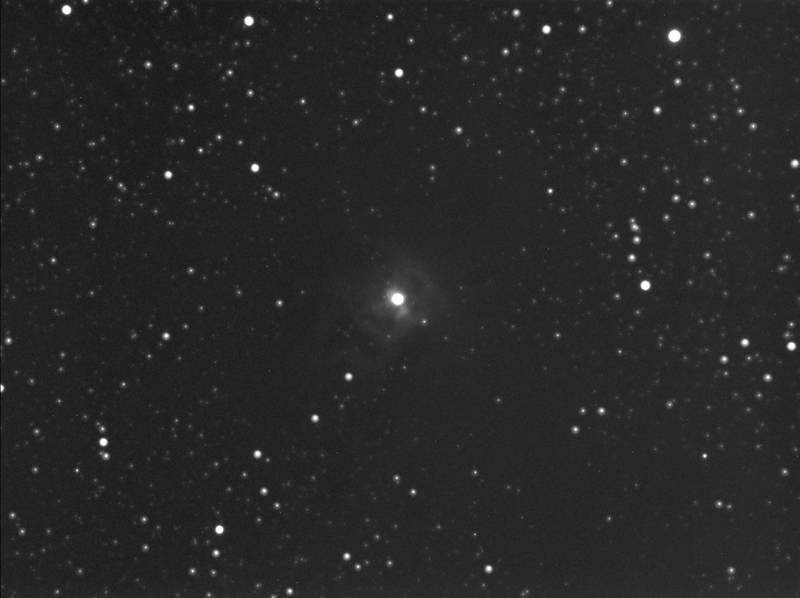 Single 10min shot, Atik 314, I did use the levels in The Gimp a little bit. If you can pass the out of focus, I would say that the stars are pretty round to me. Yep!!! Yes they are! Great result! 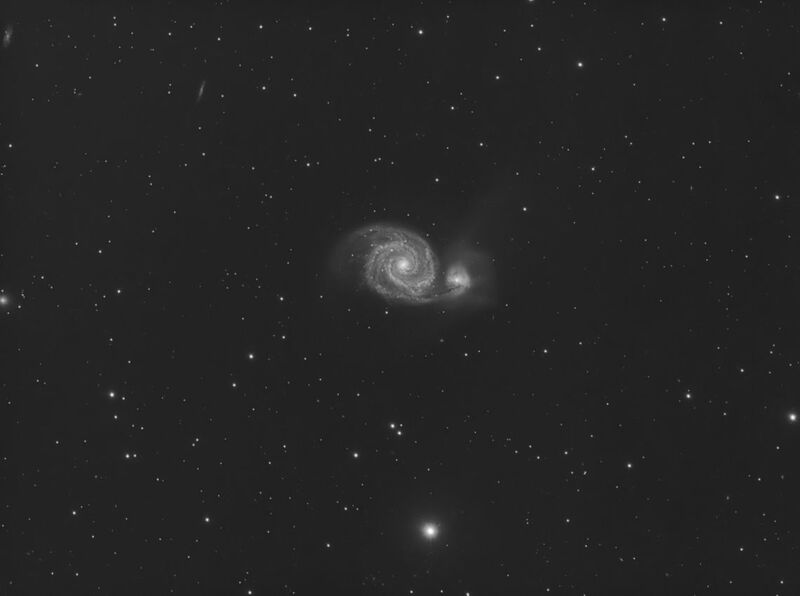 About the 10min images, my mount had an 8min period so sometimes it an image during exposure. Mine was on DEC axis. How is you backlash on RA Axis? This really affects guiding until it stabilizes the axis. Can you calibrate at first time, does it respond immediately when calibrating or does it take a long time to respond. Yes now you can make some minor tweaking so see if if works better or not. Just for a reference. The best I could achieve with very good polar alignment was between 0.4 on great nights to 0.8 on worse nights.